I can’t stop admiring Korean broadcasting station staffs. It seems like they are never having shortage of ideas and their brain always working brilliantly. I wonder is it because of their food or something. I hope I can be born again as Korean in my next life or – if that is too ridiculous to proceed – I can study broadcast in Korea (AAMEEN to that!) because (once again) their program has made me in awe. 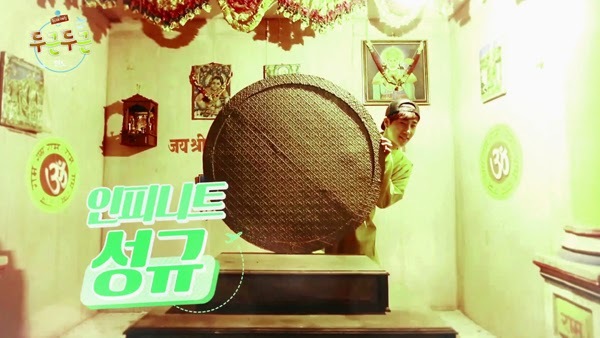 It’s KBS latest variety show, Fluttering India or Exciting India or Bounce Indo. What I love from Korean TV programs is that they always showed the reason or the background of one program. Why they decided to make that program, what the program aimed at, why they chose certain people to host the program, everything is clear from the start and it makes the viewers understand their purpose and want to know whether they will succeed or not. It is mind-blowing, right? So once, again, thumbs up for Korean TV programs! 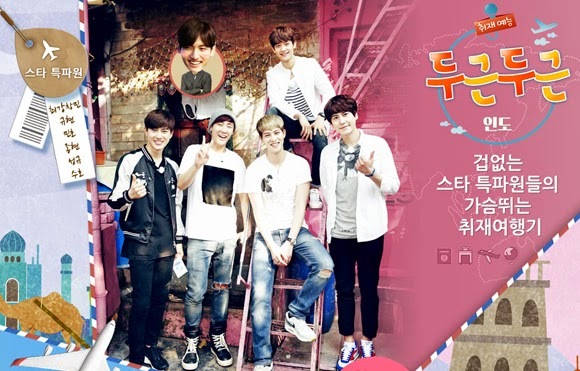 Fluttering India is the latest KBS variety show where five K-Pop stars, namely Super Junior’s Kyuhyun, EXO’s Suho, CNBlue’s Jonghyun, SHINee’s Minho and INFINITE’s Sunggyu, turn into KBS newsroom’s correspondent. Five of them were chosen by the KBS News Department team to be the station’s correspondent in India. They have to write news or anything that have news value about India and report to the newsroom. Their report will be presented during the KBS 9 o'clock news program, which considered as the leading news program in the country. First of all, I would like to say that the concept is brilliant. 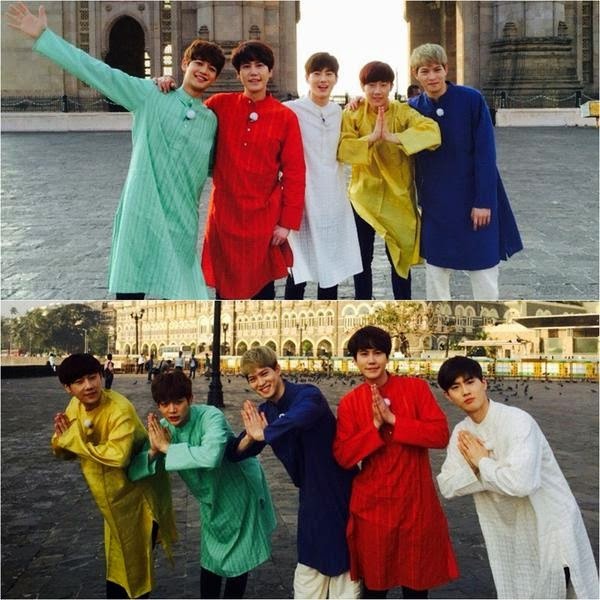 I didn’t really understand the reason why KBS staff chose India as the location, but after the first episode, I knew that India is the perfect place. 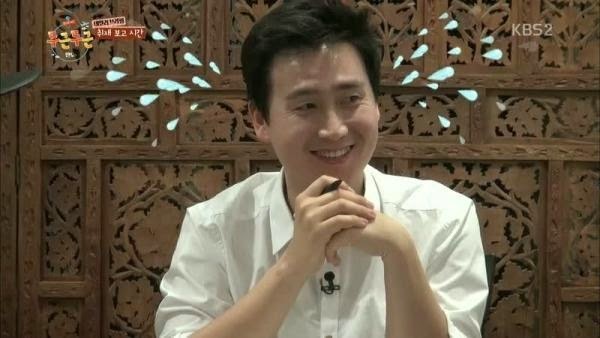 During the first episode, the show tells that the reason why they chose India is because the so-called Hallyu wave has yet to touch the market of Indian entertainment industry despite the fact that Hallyu has spread to all of Asian countries and even Europe and America. Therefore, they send the best of the best k-pop idols to India to gather information whether people in India know about their existence or not as well as to spread the Korean wave to that country. It is quite funny though because the KBS newsroom staffs have no idea how popular these idols are. The time when they asks their junior whether these idols they sent to India are quite popular enough is hilarious. 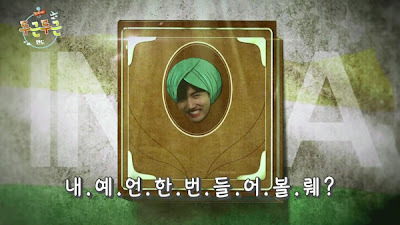 Fluttering India looks like the variety show version of SBS’ Pinocchio. Because in this show, the members – considered as rookie reporters – are working with KBS field reporter who they called Captain. Every night the members will report what they found in the field to the Cap and discuss what will they dig on the next day. As much as I love the idea of the show, the execution somehow is unsatisfying. It seems that the execution is still raw. It can be seen from the uncertainty of where the members would go during their trip in India. I don’t know if it because of the show wants to emphasize the fact that the members were supposed to be reporter and search for their own news or something. Or maybe because they want to emphasize the “reality” factor in this reality/variety show. Nevertheless, I still love how the members looks puzzled as they have to search something that has news value in the country they never visited before and also with lacks of English-speaking skill. Now, let’s review each member’s performance. First is the leader of the pack, the sunbae-nim Super Junior’s Kyuhyun. Kyuhyun looks really insecure and burdensome even before their departure to India. As the oldest member, he felt that he’s responsible for what happen to the other members and how good their work is. 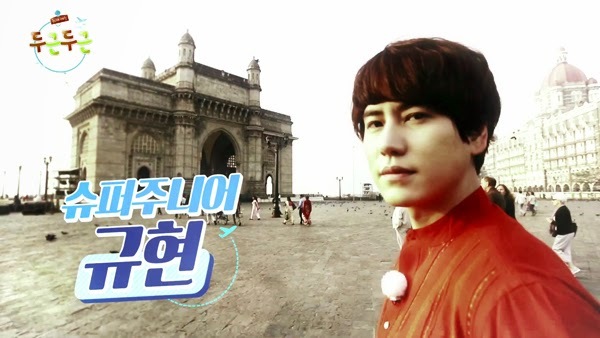 In spite of all the so-called responsibility, Kyuhyun is one adorable tourist and senior when he step his foot in India. 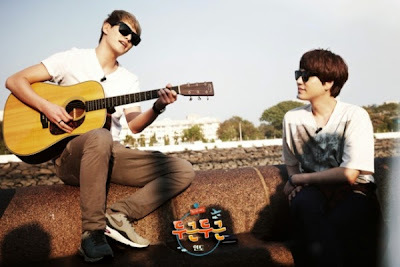 With his minimum English-speaking skill, Kyuhyun willy-nilly relies on other member who can speak English well. Yet, he still able to scold other member and act like a boss. The second member is SHINee’s Minho. Honestly, I don’t really like Minho. I thought he’s too competitive and has no fun at all after watching a number of his appearances in Running Man. However, I like him in this show. For no clear reason, I see a different side of him in this one. He seems less competitive and more playful. Maybe it’s because he’s in the same show with people he’s comfortable with? I don’t know. But Minho is really funny in this show and I see him as a smart idol rather than the strong one in this. 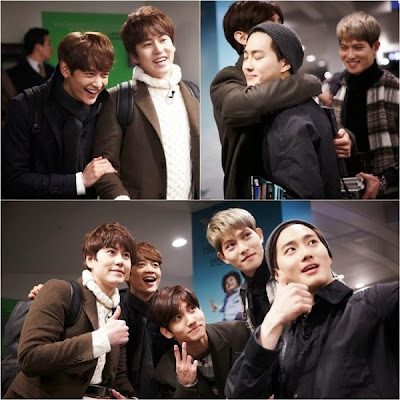 The third member on the list is the cheerful CNBlue’s Jonghyun. Is it just me or is Jonghyun really adorable until every time I thought of him, his cheery smile will always pop up in my head. 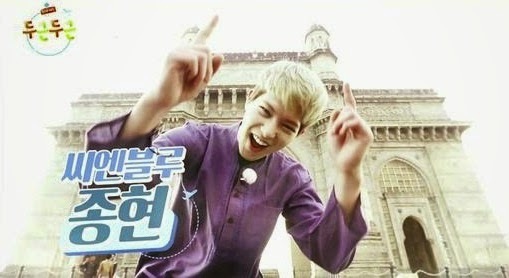 Jonghyun is the jolliest member in Bounce India’s gang. He always smiles and accepts everything the production team gave to them. He is the one who truly enjoy their trip to Korea and also the one who has no problem with their task. Thanks to his vitamin and supplement supplies, Jonghyun always get his stamina in check and never looks tired. Fourth member is the irresistible INFINITE’s Sunggyu. I never knew that Sunggyu is a neat- and hygiene-freak until I saw this show. Apparently, this odd ball was bringing three bags of bottled-water for his stay in India. Amazing Peculiar, right? But, that’s not all. Sunggyu is the vitamin of the pack because everything he did will always make other member or even the Indian people laugh. Unfortunately, this eccentric fella seems to too concern about his looks. It can be seen from how frequently he checks his hair, snapback, or even his bang. 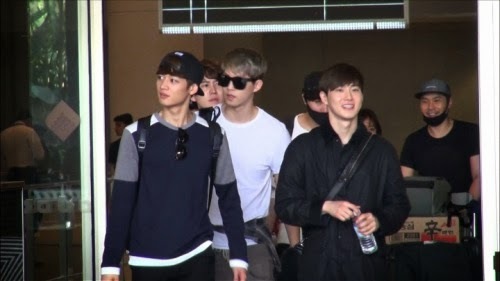 The last member on this trip to India is the maknae EXO’s Suho. Suho is definitely the brain of the show. He and his roommate (on the show) Minho are the smartest member. Yet, Suho seems to be more serious than Minho. He’s too ambitious. He’s the perfect example of a front-row seats student, student with high curiosity and student who always feel bad when he got a B+ because he want an A. That’s exactly Suho’s character in the show. I feel bad for this handsome pal when other members scold him and laugh at him for being too serious when all he wants is to do a good job. Poor Suho. Yet, I love that character of him because on some point it is hilarious seeing his ambitiousness and awkwardness at one fell swoop. And the editor also put special SFX for him, which makes his scene even funnier. TVXQ’s Changmin is actually one of the show’s members. However, for some reasons he can’t join other member to go to India despite his love for the Indian beauties. But, the viewers can see a glimpse of his appearance on the show. Such as his prophesy when he talks about the other member’s particular characters and personalities. He also probably will join other member on their next trip to another country. Regardless of the humor aspect, the show also has the enlightening portion. During watching it, I’ve receive a number of new information I never knew before and the show has broaden my knowledge about India. As expected, Korean variety shows are always entertain and educate its viewers. 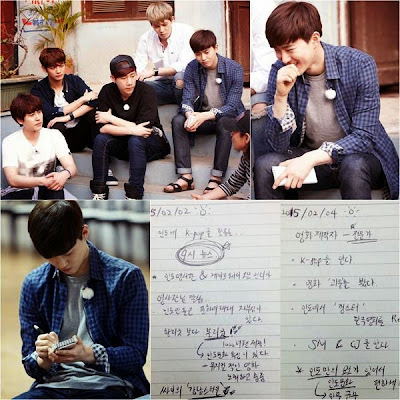 Kyuhyun, Suho and Sunggyu so funny and cute , Jonghyun gentle man, Minho is easy to adapt change and strong man. 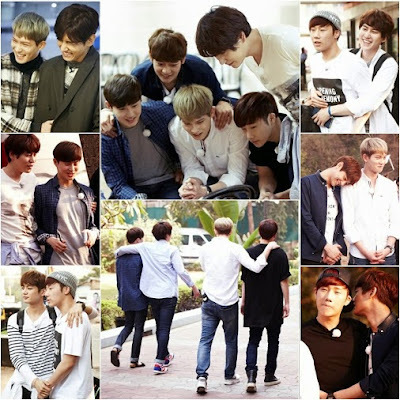 I am sad have no 2pm group. Here are so many fans of you. Your fans are all over India. Though we are not able to meet you, we are always in touch with KPOP and KDramas. I love SHINee and Minho. I want to meet them once, just lost my opportunity last time.But I will definitely meet you my bias (Choi Minho).